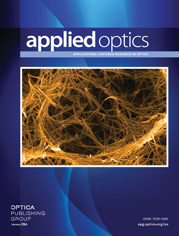 The authors are with the Institute of Electro-optical Engineering, National Sun Yat-sen University, Kaohsiung, Taiwan 80424. M.-S. Sheng’s e-mail address is d8735803@student.nsysu.edu.tw. We present a closed-form approximation for estimating both the field distribution and complex propagating constant of the antiresonant reflecting optical waveguide (ARROW) based on a first-order leaky-mode analysis. The formula was obtained from a novel coupled-electric–coupled-magnetic matrix method and provides six significant figures of the real part of the propagation constant β of a SiO2/TiO2/SiO2/Si ARROW with an 8-μm core. The accuracy for the quantity of the imaginary part of β is greater than 98.4% for the TE0 mode and 99.3% for TM0. The approximate values for field components are 96.1% accurate. In addition, a slight absorption by the substrate will result in modification of the initial improper leaky-mode behavior, which grows exponentially in the substrate, yielding a proper solution.